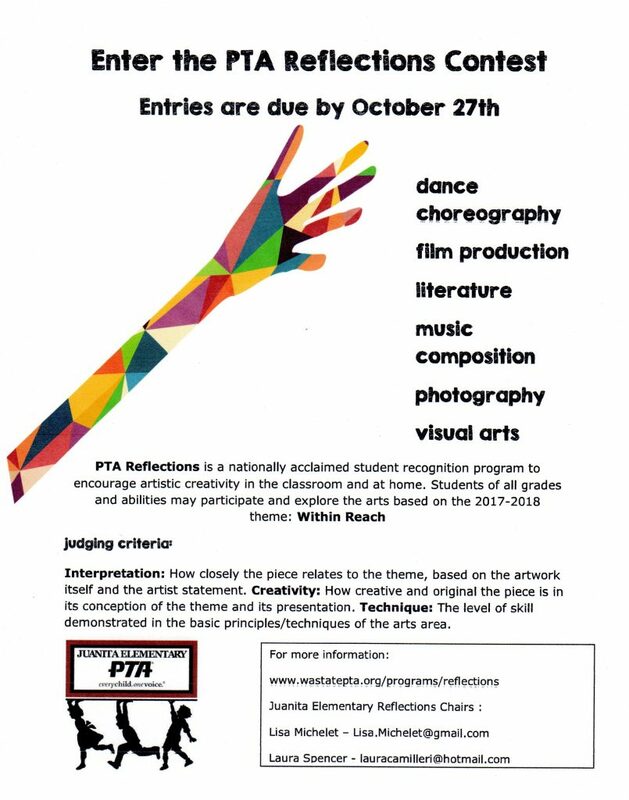 Enter the PTA Reflections Art Contest! Reflections is a nationwide PTA cultural arts competition. Students may submit an original entry in any of six areas: Visual Arts, Photography, Literature, Music Composition, Dance Choreography, and Film Production. The entry must be centered around the yearly theme of “Within Reach.” Entries are judged on creative ability and interpretation of the theme. Category specific rules can be found online. 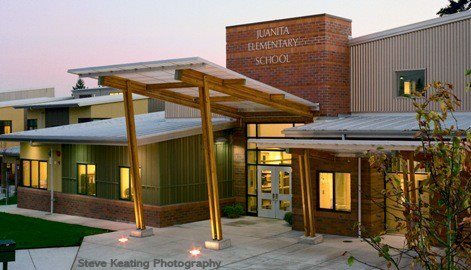 Juanita Elementary entries will be due at the end of October 2017, in the main office. Entry forms will be available starting September 29th. Local winners in each category will go on to compete at district and possibly state levels. Participants will be invited to a special popcorn party this winter.